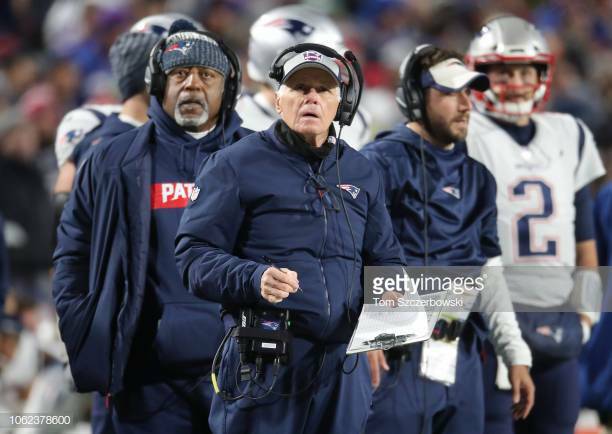 Some good news came out of Super Bowl media night with the report that both O-line coach Dante Scarnecchia and running backs coach Ivan Fears will be back next season. Scarnecchia will enter his 48th season as a coach in either NFL or college levels and it will also be his 34th here in New England, so it is safe to say he has enjoyed his time here. The offensive line has been very solid this year and will be facing one of its toughest challenges against Donald and Suh this weekend. Dan Wetzel from Yahoo Sports pulled out some fun facts to really prove how good of a coach Scar is. For starters, not one of the offensive lineman were drafted before the third round, and here's a really cool one: the whole offensive line (backups included) make a combined $300,000 less than Cowboys' starting left tackle Tyron Smith. Smith is often regarded as one of the best in the league, but to have 8 men in total make less than one guy is crazy, especially because of how effective they've been all year. Ivan Fears has been with New England since 1999 and this season, he was able to make Cordarrelle Patterson (a wide receiver) an actual threat at running back. The offensive line as certainly helped, but Fears has been able to coach rookie Sony Michel to a very productive season, including back-to-back 100 yard playoff games. Coaches do so much behind the scenes for a teams success, so it is really good news that the Pats appear to have these two guys locked up for at least another season.